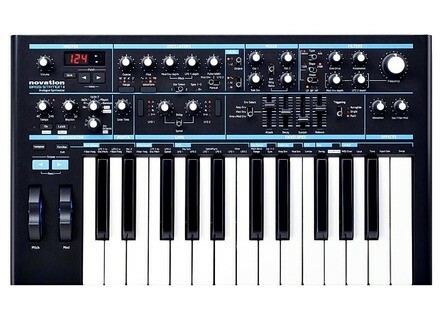 Bass Station II, Analog Synth from Novation. 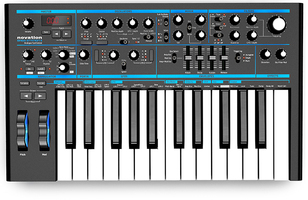 Novation unveils today the new version of its Bass Station for the 20th anniversary of the hardware synth. 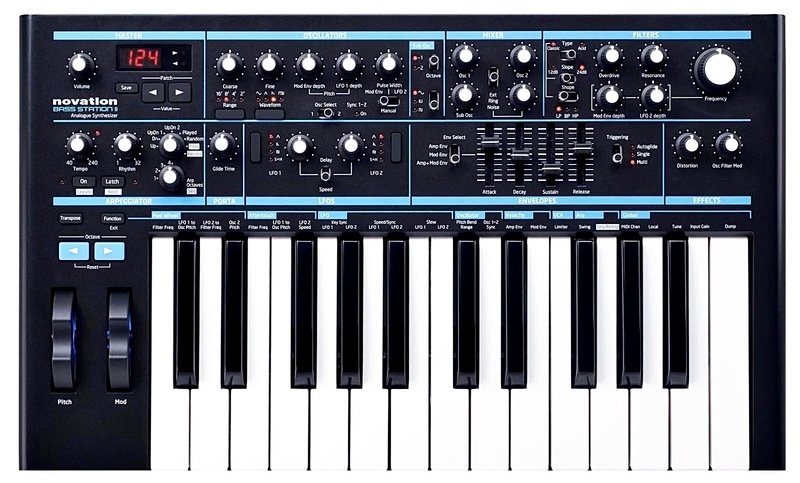 Just like the first version, the Bass Station II is a monophonic analogue synth but Novation has reworked most of the sections for a bigger sound. 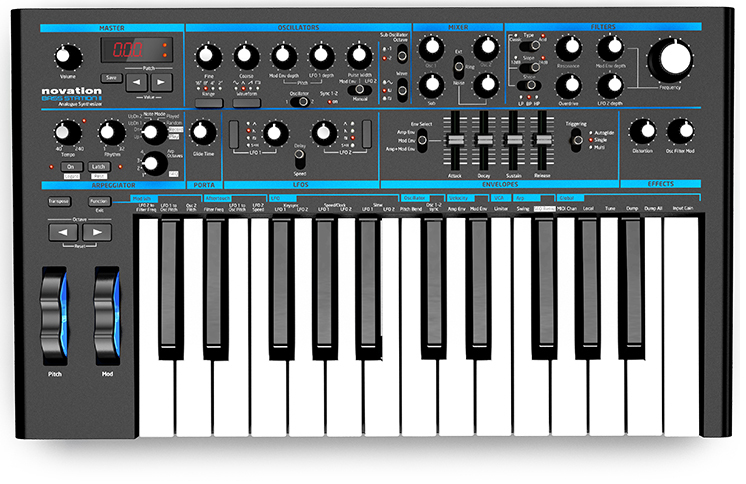 The Bass Station II will be available in june for 509€. Discover this new synth at global.novationmusic.com. [Musikmesse] MFB Tanzbär introduced Along with Dominion 1, Berlin-based MFB will bring to Musikmesse the new Tanzbär analogue drum machine and step sequencer. [Musikmesse] The MFB Dominion 1 confirmed After two years of rumors and expectation, MFB confirms the release this summer of its Dominion 1 monophonic synth, which will be at Musikmesse. [Musikmesse] Roland introduces the BK-9 keyboard Just one week before going to Musikmesse, Roland unveils the new products that will be introduced in Frankfurt, including the BK-9 backing keyboard.